WASHINGTON ― Democrats on Wednesday urged Republicans to delay replacingSupreme CourtJusticeAnthony Kennedyuntil after the November midterm elections, citing the GOP’s refusal to give a hearing to President Barack Obama’s high court nominee in 2016. 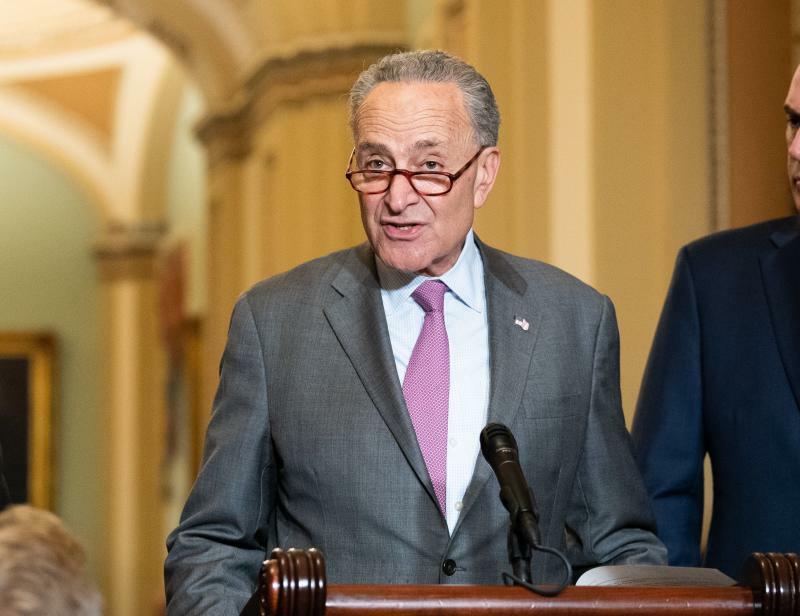 “Millions of people are just months away from determining the senators who should vote to confirm or reject the president’s nominee, and their voices deserve to be heard now, as [Senate Majority Leader Mitch]McConnellthought they deserved to be heard then,” Senate Minority Leader Chuck Schumer (D-N.Y.) said. In reality, Democrats have little power to stop Republicans from pressing forward with confirmation hearings if they so choose. They failed to shame McConnell into giving Garland a hearing in 2016 ― an incredibly consequential gambit by the Kentucky senator that is nowpaying off for his party tenfold. Some Democrats this weekexpressed regretat how they handled Garland’s nomination, wishing they had taken more drastic measures to get him confirmed. “Senators have a responsibility to do our jobs as elected officials and this includes our Constitutional obligation to advise and consent on a nominee to fill this Supreme Court vacancy,”Manchin said in a statement Wednesday, disagreeing with calls to postpone confirmation hearings until January. But discerning how a nominee will rule on an issue in the future is difficult. Gorsuch, whom Collins voted to confirm in 2016, for example, joined the court’s conservative justices in striking down a41-year-old precedent concerning public sector unionsjust hours earlier on Wednesday.